Clint Adams tends to keep his nose out of other people's business. But when he sees Big Ed Callahan and his crew squaring off against one man, the odds are too stacked for him not to step in and help Tom Angel. Unfortunately, when the Gunsmith's intervention can't get Ed to back down, all the men involved—except Clint—wind up dead. Clint doesn't know why Big Ed was on Tom Angel's tail, but he sure didn't chase him over one thousand miles for no reason. 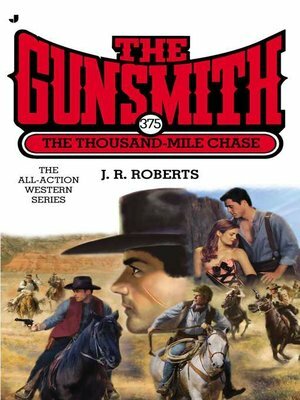 The Gunsmith heads to Tom's hometown for answers, but everyone there is playing the fool as well. Seems Clint will have to stick to his guns and ask the hard questions to hunt down the truth about Ed's long-distance vendetta.